Can you spot the things in this picture that I would like to brighten up? 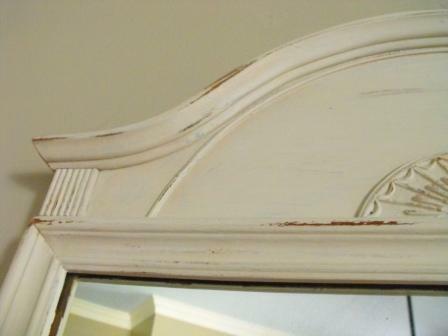 This old mirror is the first of many to be "swedished" up. Yes...new word! If you want to know the story of the mirror look here. My walls are not yellow...sorry about this picture. 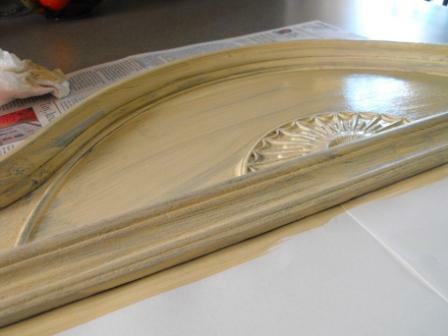 After a good sanding I started with a coat of left over paint from this project. and a bit more sanding. Done! Can you guess what project I would love to do next? Beautiful. It is amazing how the lighter paint brings out the details even more. It is gorgeous, the "Swedish" decorting reminds me a little of French. Love it!! It's great!! I love it! I love how you sanded a little and let the darker wood show through. Love. 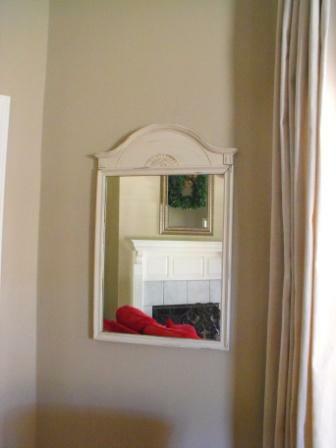 Hmmm, taking a cue from the last picture, I'm thinking either the fireplace or the mirror above it. Awesome, Susie! You are amazing. Yes the paint makes it so much "lighter" and brighter but it also relates more to the walls now! I really need to start doing the same thing with my darker pieces. They're just weighing me down! Wow what an amazing transformation...it looks great!! Good Job! Love the mirror redo. Just give is a such a softer look. I have to agree with shilo, my guess is a slipcover? Oh that is so pretty! Is your sofa the next thing to brighten up? 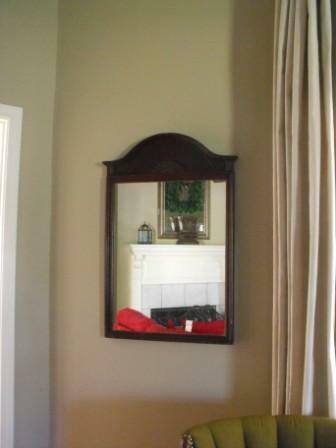 We have a brown one that is ok, but with our dark pine hardwood flooring it makes it seem darker. I'm looking for a nice creamy slipcover for it. But with two little ones, I may be washing it a lot! You are certainly on your way to your beautiful vision for your home. I'm so thankful you're taking all of us on the journey with you *smiles* Your Swedished up mirror is gorgeous! Can't wait for the rest! Have a wonderfully blessed weekend! Love it! I have my own mirror here that I need to swedish up! 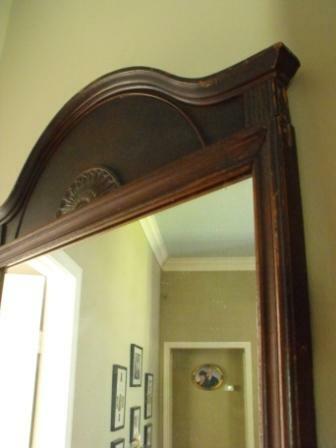 Your mirror looks very nice! 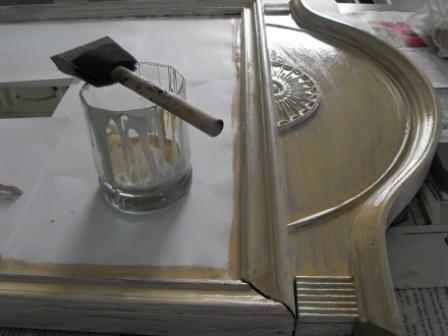 Your "swedishing" looks great - my headboard is somewhat the same shape as the top of the mirror, so that gives me a good idea of what it will look like painted. Thanks!! Slipcover for the couch, perhaps? Oh, I am loving this journey. My brother-in-law always says, it's not about the final destination (although it will be beautiful for sure! ), it's about the journey to get there. Can't wait to see all of the projects you will be working on. They will be fabulous! What a transformation :)!!! Love the result! So pretty. You're off to a good start. LOVE it. I love white, so you can do no wrong with it on everything! 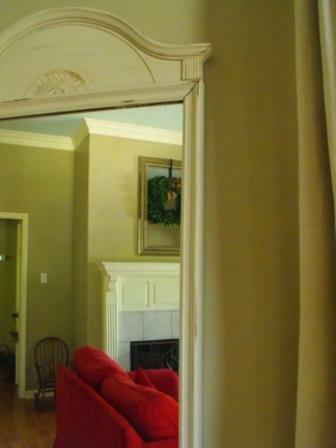 I am thinking you would like a white slipcover on the red couch? Stop by for my 200th post giveaway. Ooooh, I am loving swedishing!!! Wow! It turned out great! I'm a chicken when it comes to messing with natural wood -- I'm afraid I will do horrible damage and ruin the piece. I love the new lighter paint! I'm lightening up a few spots in my home too. It makes everything look fresh. Very Nice! Very nice! You are off to a great start and I can't wait to see what else you do. I love it! And I love the story behind it, too! You need to go back and read Kat's comment after your comment...it cracked me up. And we will come see y'all when we can!! At first I was nervous for you but it turned out BEAUTIFUL!! I love it so much more now! Hi! I've been a lurker for a little while, and love your blog! The mirror looks great! !It's a very pretty mirror..with such a nice story too.I just LOVE mirrors! I'm excited for you and your "swedishing" lol, and look forward to seeing you transform your home. Have fun! Turned out nicely! Another great job Susie! I really love the mirror. It looks amazing. Swedish style is so inspiring. Can't wait to see what else you do! Wow, it looks great, I love the new look. My guess--slipcover the couch? I LOVE the red, but I'm thinkin' you might want to lighten it up? How are you gonna swedish up the red sofa? That looks fabulous, it is amazing what a few little creative touches here and there will do to make a house a home. 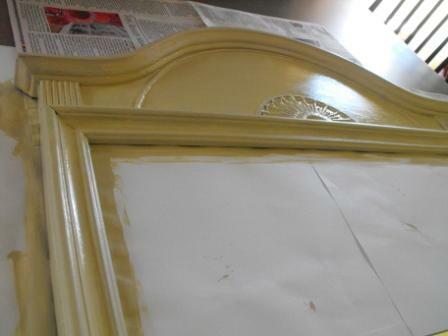 Long live the joys of white paint! Thanks for sharing. it is gorgeous!!! i love that mirror!!!! 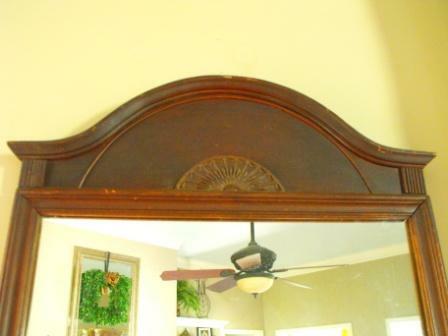 I love what you did to the mirror! 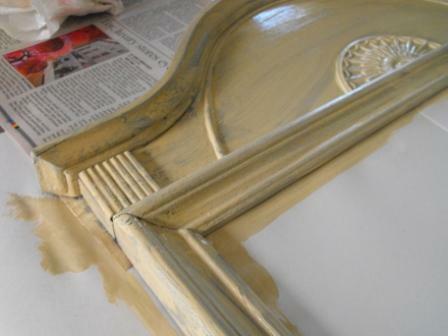 Love to see transformation by a simple paint job!! Not much money involved but, oh, the difference!! Great job! Show us more! Very stylish. It definitely looks better! I love it, it is gorgeous! Love the distressing! The mirror turned out great! I absolutely love it! You did a great job, amazing what a little paint can do. It does lighten things up a lot.Can't wait to see what else you are up to. I love the fresh look of the white! I have always loved scandinavian design!! I can't wait to see your interpretation. Everything you do is always so gorgeous! I love your blot and your do it yourself projects...I don't remember how I came across your site but I believe it was from Southern Fried Girl's blog.